health needs in a non judgmental environment. Early dental care can play a crucial role in dental development. Since 1996, Dr. Thomas Lornson has been providing patients with exceptional comprehensive dental care. Dr. Lornson attended the University of Wisconsin for his undergraduate education and obtained an Emergency Medical Technician Certificate from Madison Area Technical College in 1992. In1996, Dr. Lornson earned his Doctorate of Dental Surgery degree from Marquette University. He then completed an Advanced General Dentistry Residency with the University of Minnesota in 1997. He then went on to receive his Fellowship for the American Dental Implant Society. Dr. Lornson feels it is important to stay on the cutting-edge of dentistry. Thus, he maintains memberships in many prestigious professional organizations to keep up-to-date on the latest techniques and technology. He is currently a member of the American Dental Association, Academy of General Dentistry, Wisconsin Dental Association and the Outagamie County Dental Society where he also served as President from 2013-2014. Dr. Lornson believes in sharing his experience. He has been a clinical instructor for Fox Valley Technical College and Marquette University School of Dentistry and volunteers at Tri County Dental Clinic. Dr. Lornson is part of the Wisconsin Dental Donated Services which helps out the underserved and has taken part in mission work in the Dominican Republic. Dr. Lornson believes in giving back beyond dentistry and for many years was part of the Community Emergency Response Team for Outagamie County. He became Level III certified in search and rescue through the National Association of Search and Rescue and helped form the CERT search and rescue team in 2012. 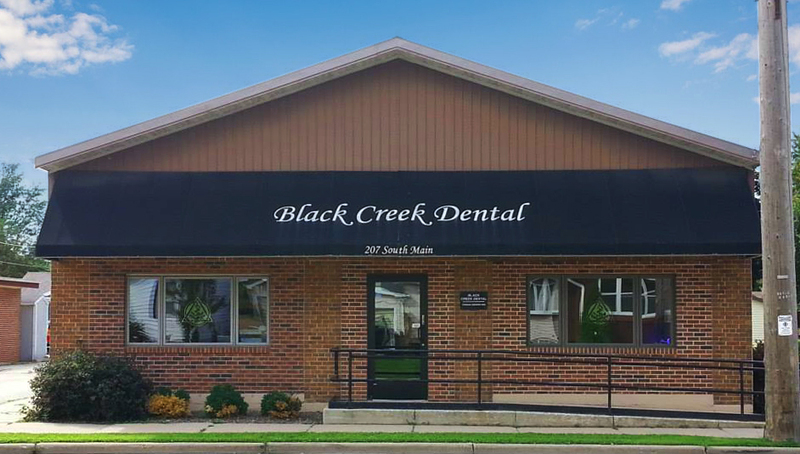 Welcome to Black Creek Dental, the office of Thomas Lornson, DDS, conveniently located in Black Creek, Wisconsin. Our top priority is helping you achieve and maintain a beautiful, healthy smile. We are committed to providing our patients with the highest standard of dental care, using state-of-the-art technology, in a pleasant, comfortable environment. It is our mission to provide you with affordable, high-quality treatment that fits your budget! We offer a variety of payment options to meet your needs. Our office accepts payments by cash, checks, and Visa and MasterCard credit cards. We also offer low- and no-interest financing options through CareCredit. If you have any questions about financing or payment, ask us! We will thoroughly explain your choices and work hard to accommodate your needs. We participate with many insurance carriers, and are a preferred provider for Delta Dental, WEA and deCare. If your insurance covers treatment, you will receive the benefit of reduced personal costs. Insurance policies vary, so we will review your insurance to determine the appropriate course of action. Once treatment has started, we will file your claims. My family has been going here for years and we all absolutely love them!! They go above and beyond to take care of whatever you need! Dr. Lornson is the best! They don’t just treat you they take care of you!! Very thorough. Excellent explanation of findings. Dr. Tom takes pride in his work and took his time. I didn’t feel rushed through. Staff gets an A+ too. Got me in for an emergency filling. 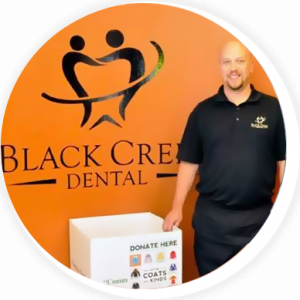 My family and I have been patients of Black Creek Dental for several years now. Dr. Lornson and his staff have incredible service and have always made sure that they have our best interest in mind. The staff is awesome! My 8 and 6 year old were asking when they get to go back, and the crew was really efficient. Excellent communication by the hygienist and Dr. L. Highly recommended, and very close to Appleton. Excellent care by excellent people. Always a good honest experience.